*THE CHRIS NIKEL ASSURANCE--1**62** Point Inspection by a Certified Technician--Fully Serviced--Fresh Oil & Filter--Good Tires & Brakes--Detailed to a Showroom Shine--AND MUCH MORE to give you many miles of worry free driving. Come by and see for yourself. * Chris Nikel Chrysler Jeep Dodge RAM in Broken Arrow, OK has a huge selection of pre-owned vehicles to suit your needs and fit your budget. Our no-hassle shopping experience and excellent service have kept customers coming back again and again, since 1973. Our Finance Department is standing by with competitive rates and terms to help fit a new vehicle into your budget. For more information about this listing or to schedule a test drive, call *Sales at 918.355.5000*. It's MORE than your Nikel's worth! *--**THE CHRIS NIKEL ASSURANCE--162 Point Inspection by a Certified Technician--Fully Serviced--Fresh Oil & Filter--Good Tires & Brakes--Detailed to a Showroom Shine--AND MUCH MORE to give you many miles of worry free driving. Come by and see for yourself. * Chris Nikel Used Jeeps at 3737 South Memorial Drive in Tulsa has the largest selection of quality, pre-owned Jeeps in Northeast Oklahoma. We have specialized in Jeeps for nearly 30 years. Whether you are looking for a lifted Wrangler ready to for an off-road adventure or a Grand Cherokee to get you where you need to go in comfort and style, we have the right Jeep for you! Come visit us at the corner of Memorial and the Broken Arrow Expressway. Just look for the yellow Jeep on top of the building. Or call us at 918-355-5000. With our knowledgeable staff and no-hassle shopping, you will see just how easy it is to get your NIKEL's worth. You won't want to miss this excellent value! A comfortable ride with room to spare! With just over 15,000 miles on the odometer, this 4 door sport utility vehicle prioritizes comfort, safety and convenience. Top features include front fog lights, front and rear air conditioning, a roof rack, and remote keyless entry. It features an automatic transmission, front-wheel drive, and a 2.4 liter 4 cylinder engine. Our sales reps are extremely helpful knowledgeable. They'll work with you to find the right vehicle at a price you can afford. Call now to schedule a test drive. 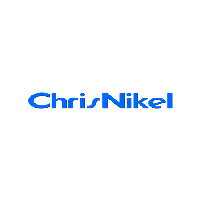 THE CHRIS NIKEL ASSURANCE--162 Point Inspection by a Certified Technician--Fully Serviced--Fresh Oil & Filter--Good Tires & Brakes--Detailed to a Showroom Shine--AND MUCH MORE to give you many miles of worry free driving. Come by and see for yourself. Chris Nikel Chrysler Jeep Dodge RAM in Broken Arrow, OK has a huge selection of pre-owned vehicles to suit your needs and fit your budget. Our no-hassle shopping experience and excellent service have kept customers coming back again and again, since 1973. Our Finance Department is standing by with competitive rates and terms to help fit a new vehicle into your budget. For more information about this listing or to schedule a test drive, call *Sales at 918.355.5000*. It's MORE than your Nikel's worth!